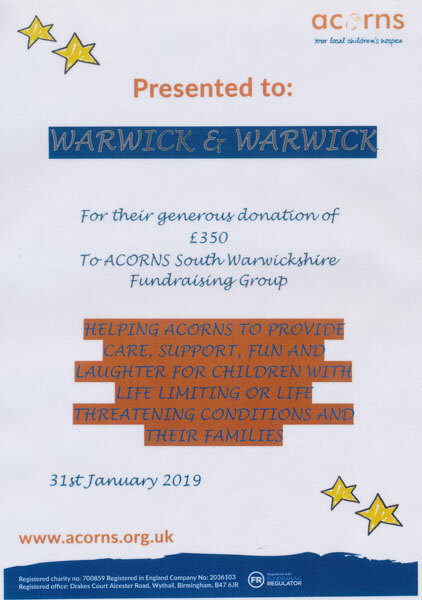 We are happy to announce that we have made another donation to charity, this time to Save the Children and Acorns Children’s Hospice. Lot 68 in our 5th December 2018 Stamp auction was a world collection comprising of a variety of low value collections that owners had decided to donate to charity. The lot realised a total of £700 which was donated equally between both charities. Save the Children are committed to stand side by side with children in some of the toughest places to be a child, both here in the UK and abroad. They do whatever it takes to make sure children survive, get protection when they’re in danger, and have the chance to learn. Acorns Children’s Hospice provide specialist care 24 hours a day, 7 days a week to children and young people who are not expected to reach adulthood. In the last year Acorns has supported 865 children and 1,088 families, including those who are bereaved. They provide tailored nursing care for each child including short breaks, emergency and end of life care at each of their three hospices. Thank you to all of the customers who agreed to donate the proceeds of their stamp collections to these charities, your contribution is very much appreciated.